The Heart of Robin Hood At A.R.T. Director Gisli Ã–rn Gardarsson sitting in part of the fabulous set of â€œThe Heart of Robin Hood. Laura Sheehy as Plug, Andrew Cekala as Jethro and Claire Candela as Sarah Summers. 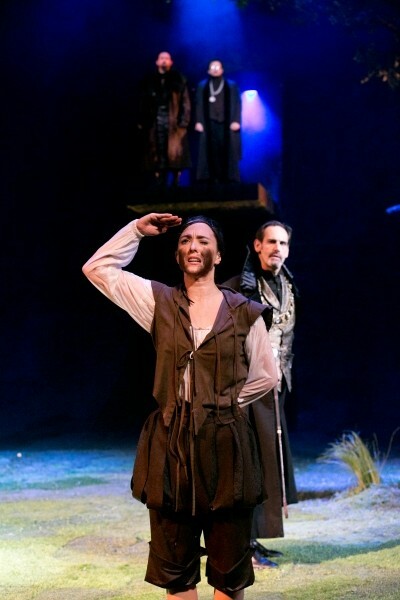 With a stunning, spectacular set and appealingly strong performances, The Heart of Robin Hood at the American Repertory Theatre brings a new twist to the legendary story. 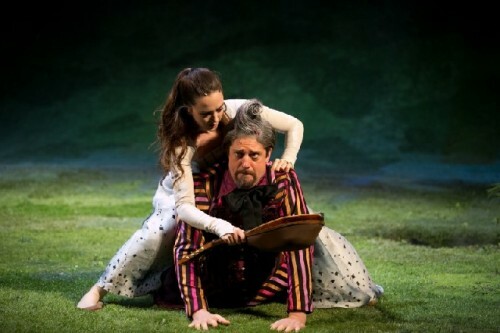 Here, Playwright David Farr has taken a feminist angle on the Olde English tale. And there is wonderful music as well. Robin Hood, just the name alone, makes us smile. Though the bones of the narrative can remain, the story need not stay the same. And why not? There have been scores of versions of the yarn: from the silent movie days of Douglas Fairbanks, Jr. in 1922 to the 1938 Errol Flynn version to Richard Greene's '50s television series The Adventures of Robin Hood to Sean Connery's late in life Robin and Marion to ones by Kevin Costner (Prince of Thieves, 1991) and Russell Crowe (Robin Hood, 2010) with a variety of animated (Disney) and television series (both UK and US) renditions thrown in. Mel Brooks even did a comedy Robin Hood: Men in Tights. Most have had popularity. It is a delicious real or imaginary story. And we seem to be connected to the Robin Hood version that we first saw. So, what was exciting about that one seems to stick with us. Baby Boomers grew up on Richard Greene's version, their parents were connected to Errol Flynn's swashbuckling, etc. Everyone loves the Robin Hood story. Either in play or imagination or both, it is part of the adventures of our childhood, and a metaphorical fantasy, no desire, for many adults. The legend contains sword fights, bows and arrows, romance, good over evil, living wild in the forest and even stealing from the rich and giving to the poor. It has almost everything to entertain. But what keeps it fresh is that creative interpretations keep giving the story new wonder and excitement. And Playwright Farr has done this with a superb The Heart of Robin Hood. Here myth is mesmerizing. The set is beyond creatively brilliant. It is an understatement to say that the set/scenery was more than a major character in this production. The play opens in a spectacular forest environment which is both somehow fantastic and yet real. 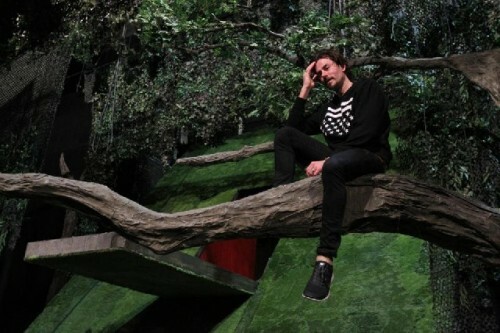 Sitting on a tree branch, Pierre is seen talking to himself. It is a bit of A Midsummer Night's Dream meeting Commedia dell'Arte dressed in Lincoln Green set in Sherwood Forest. The forest is the multilayered atmospheric setting. Spatially, it morphs into a clearing, then a deep treed dark region to a chapel and beyond. Pierre is the foppish clown, the Medieval jester, Marion's personal muse and her loyal servant. He is central to the various parts of the story. Played with comic energy by Christopher Sieber, Pierre goes between Big Peter and a big sissy with a humorous animation. Lady Marion played with charm by Christina Bennett Lind is in many ways the heroine of the story. She is the protofeminist, independent, feisty and oh so clever. On the other hand, her true love Robin Hood starts out little more than a thug, a bully and a misogynist. He is played with nuance and a great physique by Jordan Dean. Eventually, Marion compels Robin to adopt her better traits and abandon his. And this personal journey is the charm of Farr's story. Along the way, there are many characters that add texture and colorfulness to the production. 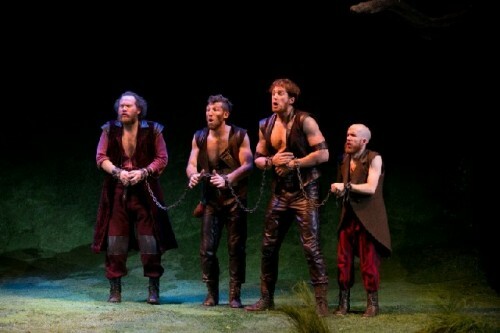 Of particular note is Jeremy Crawford as Little John, Zachary Eisenstat as Will Scarlett, and Andy Grotelueschen as Much. They are each athletic and dynamic. 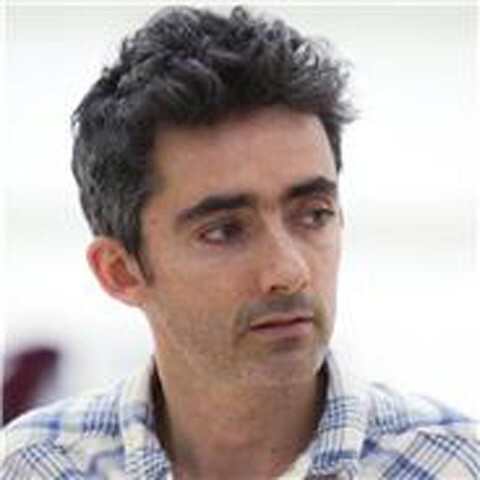 David Michael Garry plays Guy of Gisborne and other roles with grandeur, sometimes inherent villainy and distinctiveness, while Damian Young's love-to-hate Prince John is superbly evil and edgy. The two orphaned children, well played by Claire Candela as Sarah Summers and Andrew Cekala as Jethro Summers, bring sadness, pathos and a sense of danger to the story. Director Gisli Orn Gardarsson brought a wonderfully evocative interpretation to the play. His imagination is vividly expressed by the staging and stagecraft. Set designer Börkur Jónsson should be congratulated. This set is simply great. It is a brilliantly conceived, spectacular spatially flexible theatrical space. The lighting created by Björn Helgason is superb as well. Costumes, details and props seem sometimes out of context, even centuries removed from the 12th Century, but added an originality and texture to the play. Music was cleverly interspersed throughout. The group Poor Old Shine gave a bluegrass/rustic folk sound to the atmosphere. Here Duck Dynasty or Soggy Bottom Boys meet sword wielding Knights as chivalry was reinforced with rollicking countrified theme music. Other use of music was visually poetic creating surprising harmonies and imaginative sound punctuations. Even animals became music. 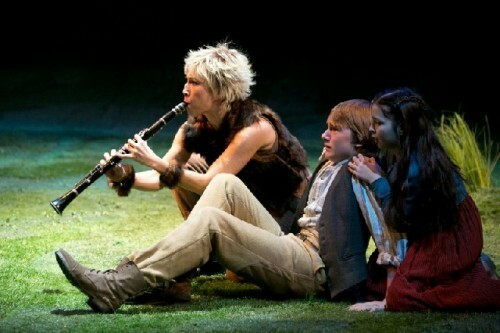 The dog Plug was a clarinet while speeding horses were trumpets, and a cello was a not boring wild boar. This added to the overall enjoyment. Certain things were simply magical in the production. Besides the brilliant use of moving doors, platforms and hidden openings, the use of real water, the spectacular hill slide and the arrows that were sometimes deadly but also became flowers were wonderful stagecraft. The Heart of Robin Hood is just plain fun. It is the old familiar story told in a very different but joyful way. Energy is high, and entertainment abounds. The staging is beyond spectacular. What a wonderful theatrical gift for the Holiday season.